Tucked into Alexandria West, just off I-395 near the WInkler Botanical Preserve, is Alexandria’s Mark Center. This bustling building complex is home to the Washington Headquarters Services of the U.S. Department of Defense and several other government agencies, all of which are considered part of Fairfax County’s Fort Belvoir. 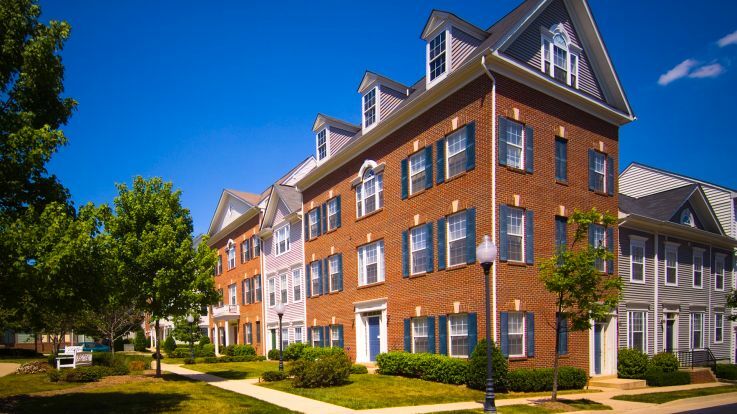 Mark Center is the workplace of approximately 6,500 employees, many of whom chose to relocate to nearby Mark Center apartments to decrease commute time and spend more time enjoying all the perks of living in Alexandria. Mark Center’s quiet location is close to a stretch of well-maintained Alexandria parks, including the Holmes Run Scenic Easement and run trail, the Dora Kelley Nature Park, Brookvalley Park and Chambliss Park; and it’s conveniently located within walking distance to John Adams Elementary School, William Ramsay Elementary School, Episcopal High School and TC Williams High School. Another benefit to living in Mark Center apartments near major highways is its central location to both Downtown Arlington and Downtown Alexandria, with Washington, D.C., just a 25-minute drive away. There are quite literally thousands of restaurants, shops, entertainment venues, museums and historic sites right in Mark Center’s urban backyard. But living in Mark Center apartments means being able to leave the car parked safely at home, heading to work, the grocery store, nearby parks and hiking trails and even Starbucks on foot. This walkability creates the ultimate convenience, with bustling urban amenities just a short drive or Metro ride away.